We are the leading service provider of Coating Service. Our company is engaged in providing Epoxy Wall Coating Service to our patrons. Our experts have affluent industry acquaintance and knowledge of this area. Our experts always work with full dedications to render this service within stipulated time period. 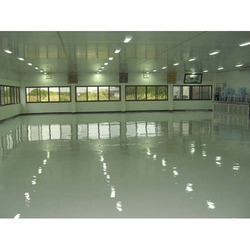 As one of the leading entity of this domain, we are engrossed in providing supreme quality Epoxy Coating Service. Our professionals adhere to industry standards to lay a perfect coating that looks nice and clean. There are colors available in the coatings. Clients can lay the coatings on the walls and floors according to the requirements. Our professionals take a stipulated time for placing the coating on the given structure. 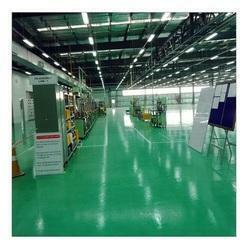 Epoxy coating is used to on floor and wall surface. It gives higher abrasion resistant to the surface. Provides Cleaner, healthier, more pleasant place for your employees to work in. Protects your concrete from wear, making it last longer. Make your plant more appealing to your potential customers. Polyurethane Floor Coatings help create a healthy, congenial and dust free work environment. Backed by excellent industrial experience and knowledge, we are engaged in providing the best services of Polyurethane Floor Coating.